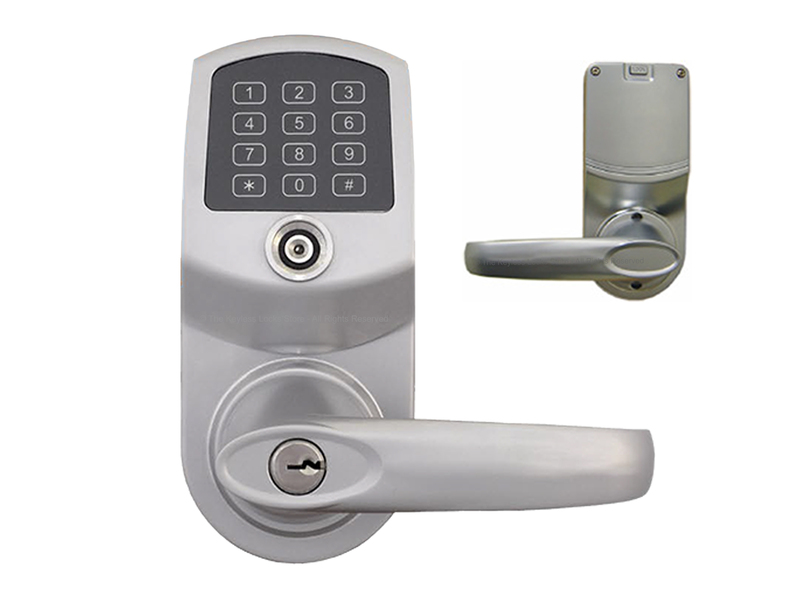 Eternity E4 Keypad/Combination Lever Handle with Lock is a medium-to-heavy-duty iButton combination lock for doors which is designed for residential to light commercial use. It is great for frequently opened doors, such as hospitals, fire departments, school, government facilities, business areas. etc. Click to enlarge/print. © UAccess Spec Sheet. Questions? 1-888-202-4538. 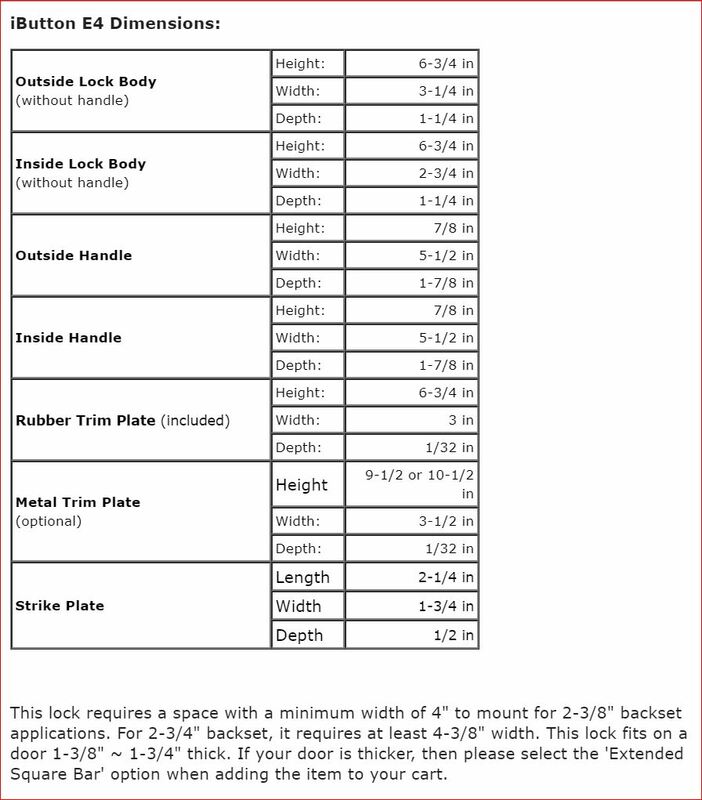 LOCKS FOR ...: (locks designed for property owners/managers for Airbnb/VRBO markets with many users, schedules, and remote management features); (locks for commercial/business usage with advanced features, many users, high traffic, and heavy-duty components); (locks that are designed for exposure to ocean or road salt; (weatherproof locks for gates with rectangular (not round) posts like on sheds, barns, and other structures, etc.). 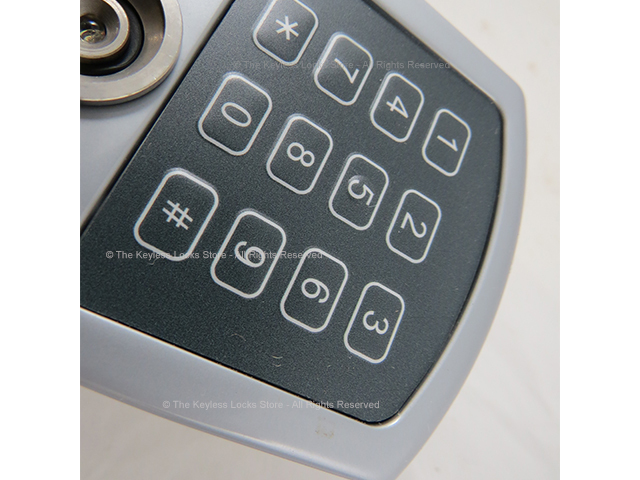 Handles 300 Users: The iButton Eternity E4 Keypad/Combination Entry Door Lock can be programmed to control up to 300 iButton or key pad users, making it an ideal combination lock for doors in corporate buildings. 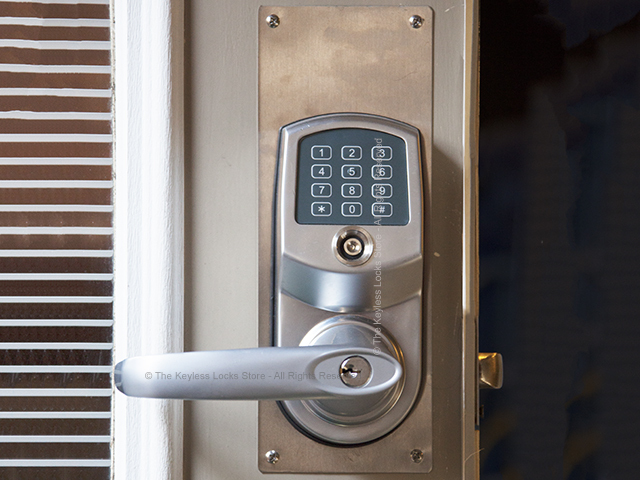 Deletes/Deactivates Individual Users: The iButton Eternity E4 Keypad/Combination Entry Door Lock lets you delete, deactivate, and in-activate users quickly and easily without knowing their unique index code. This useful upgrade means one less thing you need to keep track of. 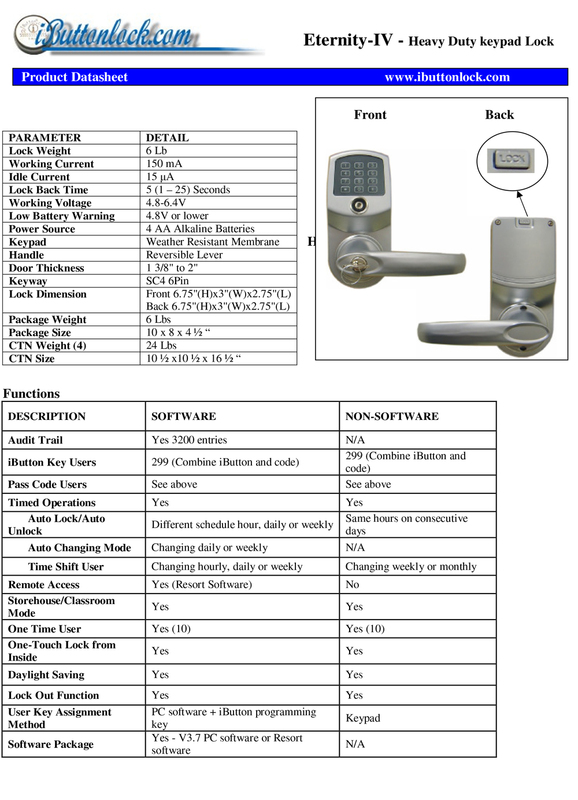 Able to Grant Access for Certain Hours: This lock can be programmed to grant access only during certain hours based on the day of the week. This is true 7-days a week, 24-hours a day. This is great for employees who need to be in the office only during standard business hours or shift employees who should only have access during their own shift. 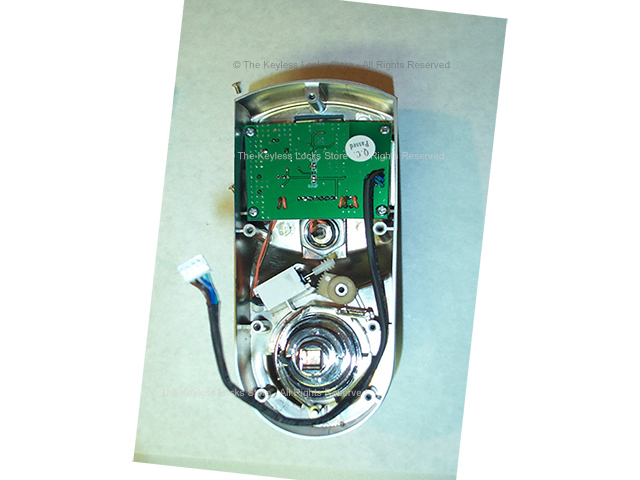 Has Auto-Lock & Auto-Unlock Feature: The iButton Eternity E4 lock has features that can be programmed to automatically lock or unlock everyday at a specific time. No need to set this up manually at the lock each time. This is a great feature for retail stores or businesses that open and close each day at the same time. 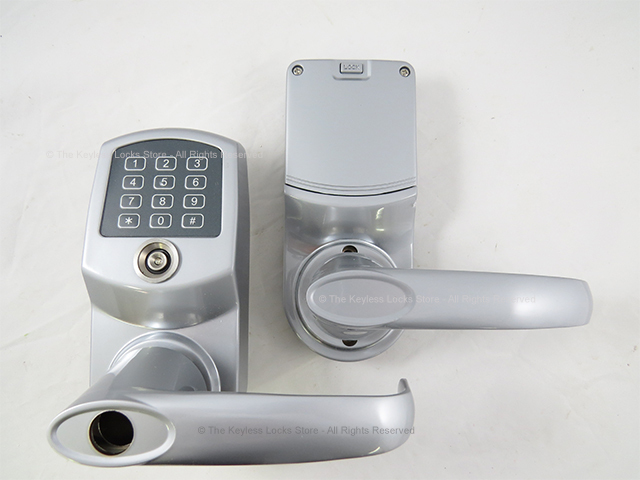 Adjustable Lever Handle:The lever handles on the iButton Eternity E4 Keypad/Combination Entry Door Lock are field-adjustable, so you can use it as either a left handed or a right handed lever. 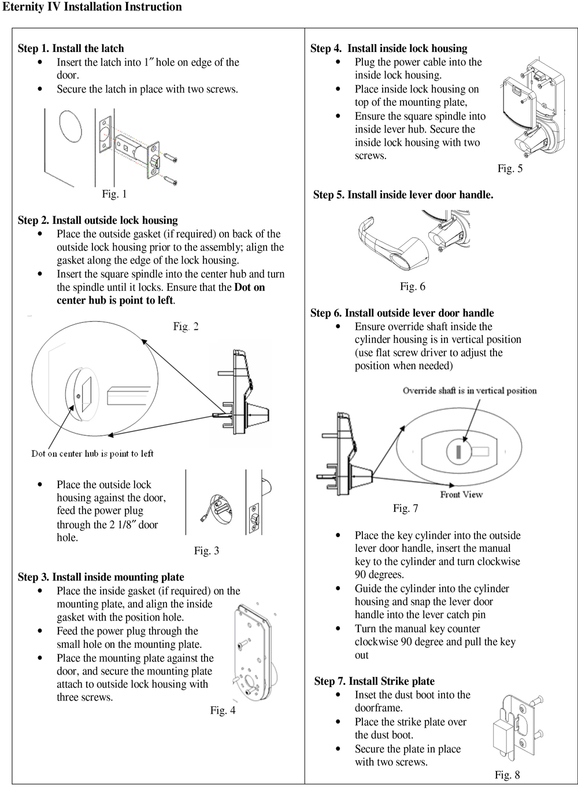 This is great if you might move your lock to a new door with hinges on the opposite side. 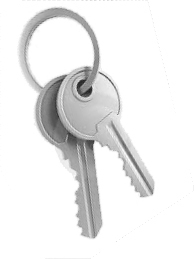 Can be Used Inside or Outside: This lock is durable enough to be used either on an external or internal door. 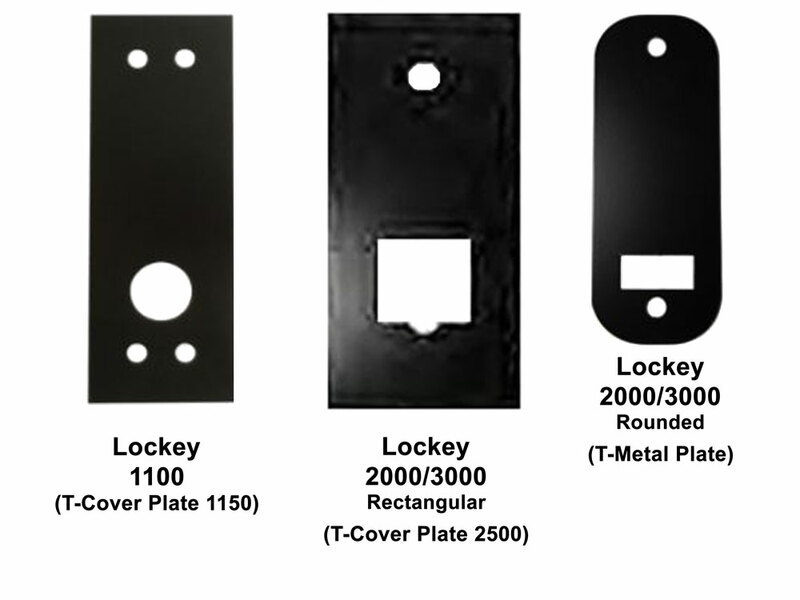 If it is going to be used outside, we do suggest you buy an iButton Protective Lock Cover. 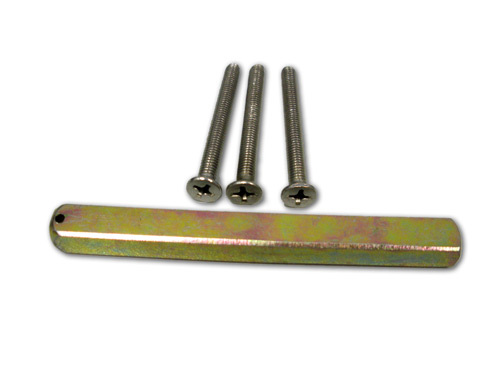 This shields the inside and/or outside lock body from strong weather. 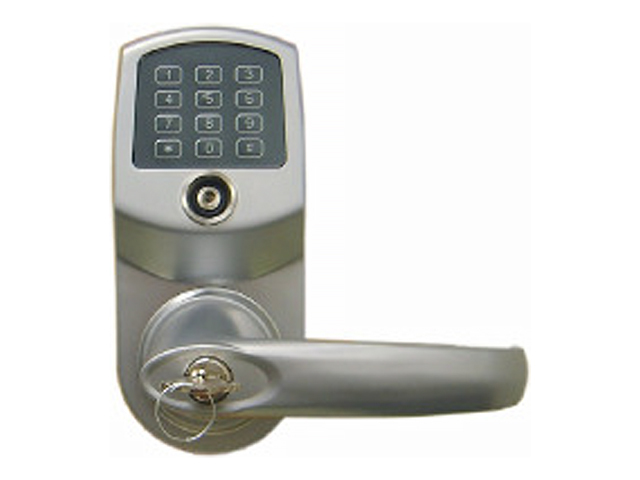 Has a Passage Mode: This lock can be set to a passage mode where no code is needed to open the door, then easily be locked again, with the touch of just one button. Batteries Last an Extra Long Time: Because the keypad is not lighted, batteries last a lot longer than comparable locks. 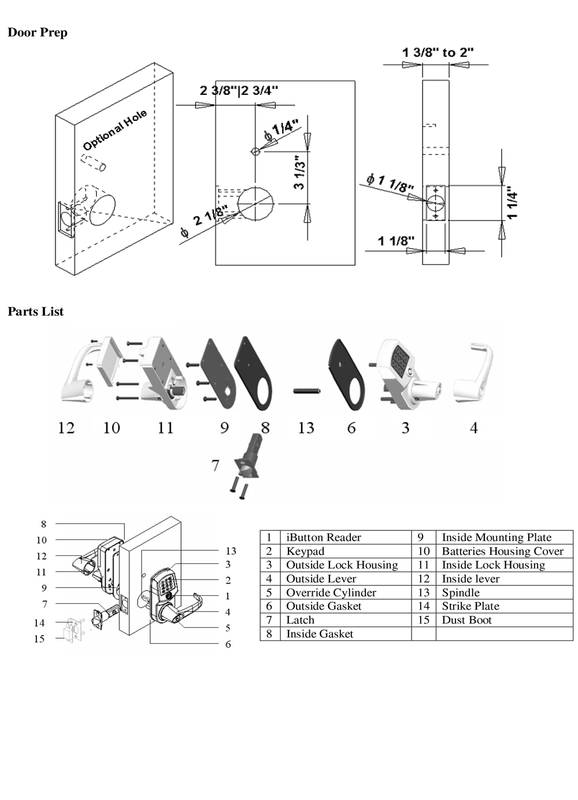 Stands up to Rigorous Use: The extra heavy weight lock body and handle of this specific lock are designed to stand up to rigorous use. 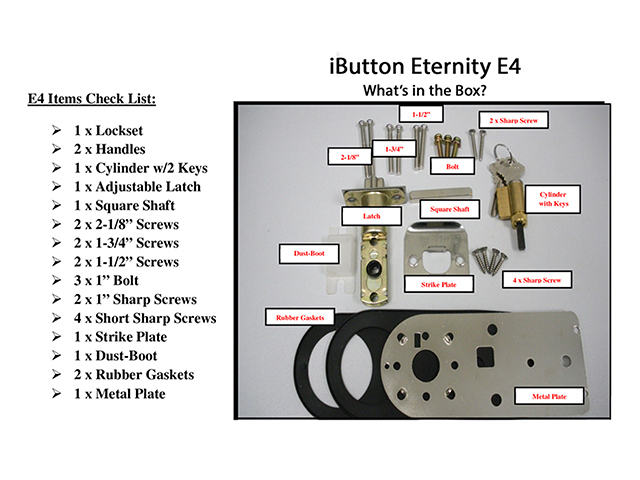 Can be Programmed on the Lock or on a PC: The iButton Eternity E4 can be programmed on the lock or on a PC, using the optional PC Audit Trail Kit. This makes programming much easier and quicker if you have many users or locks and provides a backup and disaster recovery, if needed. 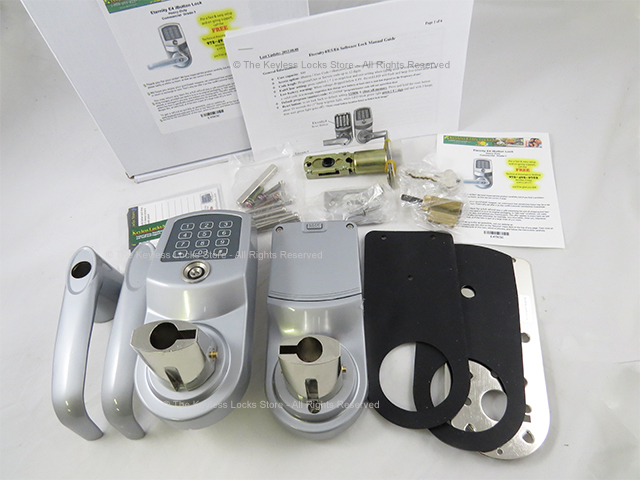 Retrofits on Standard Doors: Like all iButton locks we carry, the iButton Eternity E4 Lock is designed for easy Do-It-Yourself installation on standard residential and commercial hinged doors. 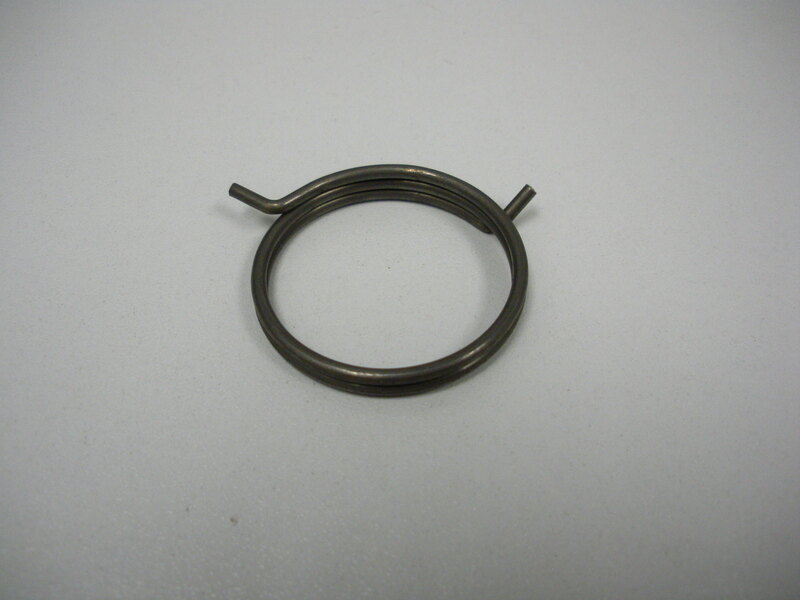 Just remove the existing door handle or deadbolt and insert this one in its place. 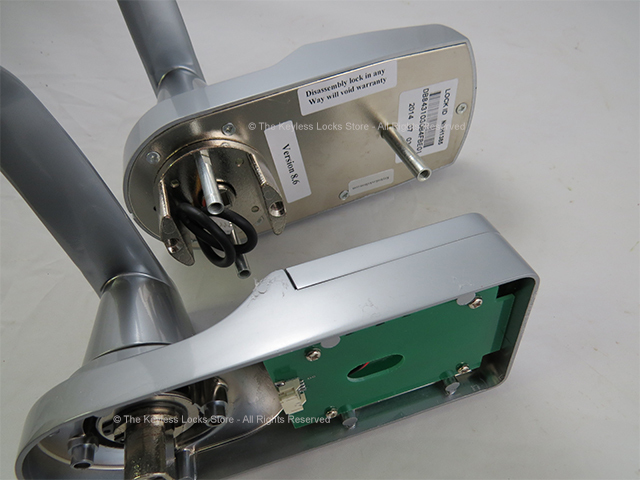 The batteries are in the inside lock body, so there is no external wiring to be done.